Ben Folds is widely regarded as one of the major music influencers of our generation. He’s spent over a decade sharing the stage with some of the world’s greatest symphony orchestras – from Sydney, Australia to the Kennedy Center, performing his pop hits and his critically acclaimed concerto for Piano and Orchestra. For five seasons he was a judge on the popular NBC series “The Sing Off,” which catapulted the art of a cappella into the national spotlight, and helped launch the careers of numerous a cappella groups. Throughout his career, Folds has created an enormous body of genre-bending musical art that includes pop albums as the front man for Ben Folds Five, multiple solo rock albums, as well as unique collaborative records with artists from Sara Bareilles and Regina Spektor, to Weird Al and William Shatner. His most recent album is a blend of pop and classical original works, in part recorded with the revered classical sextet yMusic that soared to #1 on both the Billboard classical and classical crossover charts. Beginning this Fall, Folds will be back to pound pianos again with cross country solo touring reminiscent of his earliest solo tours, where he defied skeptics by delivering a high energy rock performance using the intimacy of just a piano. In addition to his self-described love of performing and making music “for humans,” Folds is also an avid photographer, and is a member of the distinguished Sony Artisans of Imagery. Folds is also an advocate for music education and music therapy as a member of Artist Committee of the Americans For The Arts, and he serves as a member of the Board of Directors of the Nashville Symphony. He’s created an enormous body of genre-bending music that includes pop albums with Ben Folds Five, multiple solo albums, and collaborative records with artists from Sara Bareilles and Regina Spektor, to William Shatner. His last album was a blend of pop songs and his Concerto for Piano and Orchestra that soared to #1 on both the Billboard classical and classical crossover charts. In addition to touring, Folds has also recently been tapped by Ballatine Bantam Dell, a division of Penguin Random House publishing, to write his first book, described as a collection of interrelated essays and anecdotes about art, life, and music. Release is tentatively slated for late 2019. An outspoken champion for arts education and music therapy funding in our nation’s public schools, in 2016 Ben held the distinction as the only artist to appear at both national political conventions advocating for arts education, and has served for over five years as an active member of the distinguished Artist Committee of Americans For The Arts. New York, NY (March 14, 2017) – For the first-time ever, MELISSA ETHERIDGE and BEN FOLDS will each host a fan camp experience in Havana, Cuba, in conjunction with event producer Music & Arts Live. This marks an historic career first for each artist. In an unprecedented move, the country has opened its arms to these performers and fans, providing the backdrop for a truly unique, undeniable, and unforgettable experience. These icons will be joined by guests for four days and four nights of adventure, sightseeing, fine cuisine, dancing and music in Cuba. Guests will stay at theMelia Miramar Hotel in Havana. In between an itinerary packed with sightseeing and cultural experiences, the artists will perform both intimate private concerts and public shows alongside some of the country’s finest musicians. It’s a once-in-a-lifetime opportunity for fans to visit this coveted destination with a legend of their choice. Ben Folds’ Havana Getaway is May 25-29 and includes a photography workshop led by Folds for photo aficionados of all levels, and even smartphone shooters. 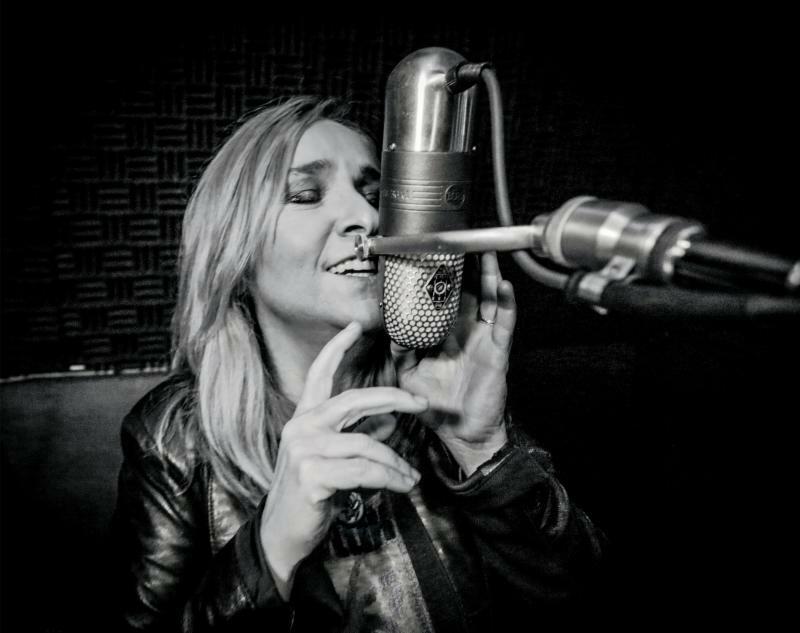 Melissa Etheridge’s M.E. In Havana is scheduled for June 22-26 and will also raise awareness regarding the country’s LGBTQ community. Both artists will also host music workshops for guests. Engaging A-list local talent, Folds will team with Cuban musicians including El Noro, Otto Santana, Annie Garcés, and Interactivo, while Etheridge joins forces with Canelas, Haydée Milanés, and William Vivanco. Obini Bata performs at both respective events. Signing up immediately is encouraged, as the events will sell out soon! (WASHINGTON)- The National Symphony Orchestra (NSO) and Artistic Advisor Ben Foldswelcome multi Grammy® and Tony®-nominated vocalist and composer Sara Bareilles and Pulitzer Prize-winning composer and singer Caroline Shaw for a one-night-only performance as part of its DECLASSIFIED: BEN FOLDS PRESENTS series on Friday, January 12, 2018, at 9 p.m. in the Kennedy Center Concert Hall. Edwin Outwater conducts. The evening includes pre-and post-concert events. Tickets ($25-$75) are on sale now. Sara Bareilles and Caroline Shaw bring their writing and vocal talents to the NSO to present re-imaginings of some of Bareilles’s hits, as well as new works by Shaw for this event, including the orchestration of a song that will be sung by Bareilles. “Context is everything,” said Folds. “We’re not dumbing down a note of music to speak to a ‘pop’ audience.” Folds added that the upcoming January concert will showcase “two short pieces of orchestral music that I’m confident will stick with the audience. It’s music that concertgoers will spend a lifetime with.” Folds said, “Shaw is a total standout among modern composers, who, unlike other proper ‘classical’ composers, sings.” In 2013, she won the Pulitzer Prize for Music for her composition Partita for 8 Voices, an a capella work for the critically-acclaimed vocal ensemble Roomful Of Teeth. Bareilles has expanded her work from award-winning, platinum-selling, chart-topping musical artist, to best-selling author and critically-acclaimed hit Broadway composer. Throughout her career, her work has been nominated for six Grammys®, including Best Album, she received a Tony® nomination for Best Original Score for her Broadway musical Waitress, and her book Sounds Like Me: My Life (So Far) In Song, was a New York Times best seller. Most recently, Bareilles wrote the original song, “If I Dare,” featured in Fox Searchlight’s 2017 movie, Battle of the Sexes. Throughout the performance, Folds serves as host, occasionally sitting in with the Orchestra and the featured guests, who perform several songs each. “It’s important to me that these shows with the NSO are full of music you wouldn’t hear anywhere else-new music, as well as new arrangements of stuff music lovers already know,” said Folds. Recording artist, violinist, composer, and arranger Rob Moose, and Tony® award-winning composer, arranger, and musical director Alex Lacamoire (Hamilton, Dear Evan Hansen), are also orchestrating songs for Bareilles, and the award-winning Sō Percussion offer new arrangements for the NSO. The first DECLASSSIFIED: BEN FOLDS PRESENTS concert that Folds curated took place in June, and featured rock artist, producer, and composer Blake Mills, along with up-and-coming Cuban rap artist Danay Suarez. Suarez, who has since been nominated for four Latin Grammys, “blew everyone’s tiny minds in three songs in her powerful debut performance with the NSO,” said Folds. The 2017-2018 season marks the National Symphony Orchestra’s 87th season, and Gianandrea Noseda’s first as its music director. The Italian conductor serves as the Orchestra’s seventh music director, joining the NSO’s legacy of such distinguished leaders as Christoph Eschenbach, Leonard Slatkin, Mstislav Rostropovich, Antal Dorati, Howard Mitchell, and Hans Kindler. Its artistic leadership also includes Principal Pops Conductor Steven Reineke and Artistic Advisor Ben Folds. Founded in 1931, the Orchestra has always been committed to artistic excellence and music education. In 1986, the National Symphony became an artistic affiliate of the John F. Kennedy Center for the Performing Arts, where it has performed a full season of subscription concerts since the Center opened in 1971. The 96-member NSO regularly participates in events of national and international importance, including official holiday celebrations through its regularly televised appearances for Capitol Concerts, and local radio broadcasts on Classical WETA 90.9FM, making the NSO one of the most-heard orchestras in the country. Additionally, the NSO’s community engagement projects are nationally recognized, including NSO In Your Neighborhood, which comprises a week of approximately 50 performances in schools, churches, community centers, and other neighborhood venues, and Sound Health, a collaboration with the National Institutes of Health (NIH) and its affiliated organizations. Career development opportunities for young musicians include the NSO Youth Fellowship Program and its acclaimed Summer Music Institute. Tickets ($25-$75) are available at the Kennedy Center Box Office, online at kennedy-center.org, and via phone through Instant Charge, (202) 467-4700; toll-free at (800) 444-1324. For all other ticket-related customer service inquires, call the Advance Sales Box Office at (202) 416-8540. For more information about the NSO, visit nationalsymphony.org. For more information about the Kennedy Center, visit kennedy-center.org. Patrons 30 and under and active-duty members of the military are invited to join the Kennedy Center’s MyTix program for special discount offers and chances to win free tickets. For more information, visit kennedy-center.org/mytix. Follow National Symphony Orchestra on Facebook, Twitter, Instagram, YouTube, and Tumblr. CAKE’s adherence to their original guiding principles has only grown stronger. Originally formed as a somewhat antagonistic answer to grunge, CAKE’s democratic processes, defiant self-reliance, and lucid yet ever-inventive music has made them a nation-state unto themselves, with no obvious peers, belonging to no school. In addition to writing, arranging and performing their own music, they have taught themselves to engineer & produce their recording projects in their own solar-powered studio in Sacramento, CA – which actually generates more power than is needed to run it (causing the building’s electrical meter to run in reverse). CAKE’s most recent album, SHOWROOM OF COMPASSION, debuted at #1 on Billboard’s “Top 200” Chart and was touted for its “deadpan brilliance” by The New Yorker. The band is currently in the recording studio working on their ninth album – due for release later this year. Additionally, CAKE’s go green advocacy will continue this summer. The band gives away a native tree at every performance (and have done so for the past 12 years). When you attend a CAKE concert, there is always a tree on stage throughout their performance, and at some point during the evening one lucky audience member (who is willing the make the commitment to be a lifelong steward for the tree) gets to take it home. The CAKE Forest can be seen here: http://www.cakemusic.com/world/. a new political satire song in conjunction with the Washington Post Magazine. Artist pre-sale is Tuesday, March 5 at 10 am local time. All remaining tickets will be released to the general public on Friday, March 8 at 10 am local time. VIP Packages will also be available for all dates. VIP packages feature a pre-show Meet & Greet and a Q&A with Ben, and a signed copy and excerpt readings by Ben of his soon-to-be-published memoir “A Dream About Lightning Bugs. A Life Of Music And Cheap Lessons.For complete details and ticket availability, please see www.benfolds.com/tour-datesand (www.vfemmes.com/tour). Billboard classical and classical crossover charts. 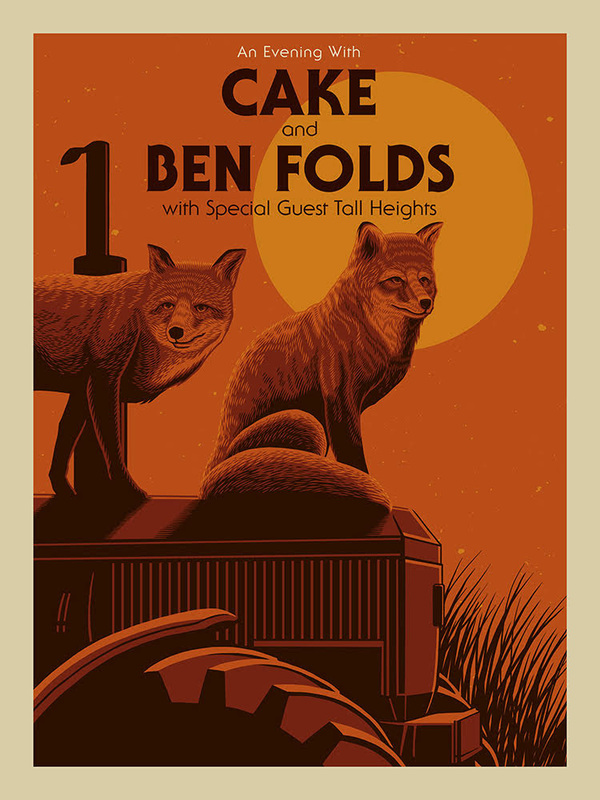 Based on the huge success of the first tour, which Pollstar noted as one of the highest grossing co-headline tours of summer 2018, Ben Folds and CAKE are reuniting for a second round of shows beginning September 5 in Bonner, MT. The co-headline tour will be making stops at venues across the West Coast including Los Angeles, CA’s Greek Theater, Mountainview, CA’s Shoreline Amphitheater and more. Tickets go on-sale this Friday, April 19. 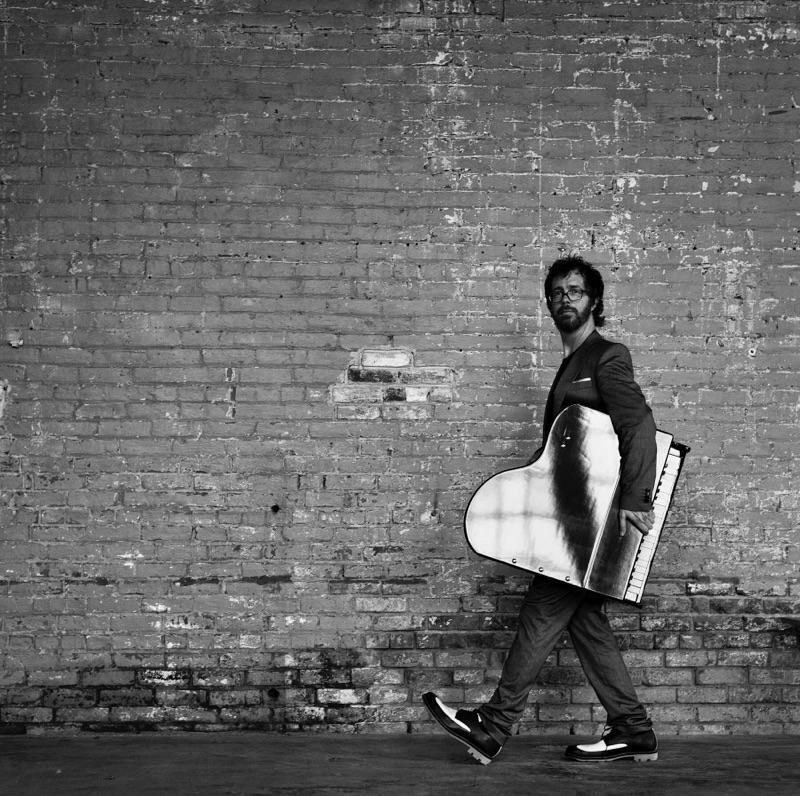 For complete details and ticket information, please visit www.cakemusic.com/tour and www.benfolds.com/tour-dates. During this tour run, Folds will be releasing his first book, a memoir entitled A Dream About Lightning Bugs – A Life Of Music And Cheap Lessons. Before each show on the tour, he’ll be hosting pre-show VIP events where he’ll sign copies of his book and conduct a masterclass and Q&A. For more on his book, please visit www.penguinrandomhouse.com. CAKE’s adherence to their original guiding principles has only grown stronger. Originally formed as a somewhat antagonistic answer to grunge, CAKE’s democratic processes, defiant self-reliance, and lucid yet ever-inventive music has made them a nation-state unto themselves, with no obvious peers, belonging to no school. In addition to writing, arranging, producing, and performing their own music, they have taught themselves to engineer their recording projects in their own solar-powered studio, which actually generates more power than is needed to run it, causing the building’s electrical meter to run in reverse. CAKE’s most recent album, Showroom of Compassion, debuted at #1 on the Billboard Top 200 Album Chart and was touted as “deadpan brilliance” by the New Yorker. The band is currently in the recording studio working on their ninth album due for release during autumn 2019. In the meantime, CAKE will be releasing a series of 7″ vinyl singles, starting with last autumn’s protest song, SINKING SHIP. For more, please visit www.cakemusic.com. In addition to touring, Folds has recently written his first book – A Dream About Lightning Bugs – described as a collection of interrelated essays and anecdotes about art, life, and music. Release is slated for July 2019. He is also no stranger to television, having been featured for five seasons as a judge on NBC’s critically-acclaimed a capella show “The Sing Off,” continues to appear in cameo roles on cable and network TV shows, and composes for film and TV. An outspoken champion for arts education and music therapy funding in our nation’s public schools, in 2016 Ben held the distinction as the only artist to appear at both national political conventions advocating for arts education, has served for over five years as an active member of the distinguished Artist Committee of Americans For The Arts (AFTA), and has been appointed to the Board of AFTA’s Arts Action Fund. He was also recently named Chairman of the Arts Action Fund’s ArtsVote2020 national initiative to advocate for a greater commitment to the nation’s creative economy through improved public policies for the arts and arts education.